Jason is an active researcher and has published over 70 articles, books and book chapters on these areas. Jason’s research has been cited in the Supreme Courts of New South Wales, South Australia and Western Australia as well as by the Commonwealth Parliament and the Corporations and Markets Advisory Committee. His papers are regularly cited in academic works in Australia and internationally. Jason is a regular presenter at professional and academic conferences and seminars on Corporate Law, Commercial Law and Insolvency Law issues. 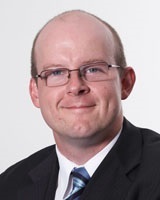 Jason’s research is focused on corporate debt restructuring and informal workouts, voluntary administration, the regulation of corporate groups, corporate governance and directors’ duties.